I have to agree with you in theory but disagree with you in practice. 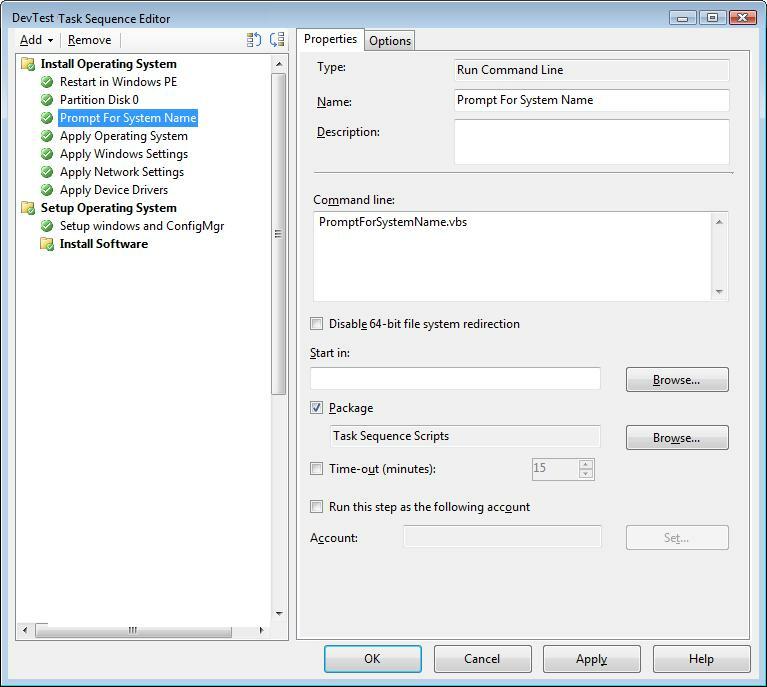 However I have a second deployment share that is for ALL of our customized or critical systems of which we have most of which cannot be setup like the main MDT deployment share because the software loaded is 3rd party vendor provided and sometimes installed by the vendor so packaging these kinds of application in MDT is a major and not cost effective undertaking or packaging them in any manner. The two deployment shares are completely separate save for linking the special deployment share to the main one to replicate the driver repository. So for 98-99% of our imaging it is the nice and clean way but for that 1-2% of the time it’s nice to have the special deployment share. Its only capture task sequence has been modified to remotely sysprep and capture the system and once i figure out the best way it will restore the PC to the Domain, PC Name, and OU before Sysprep. Ryan, I can agree with your assessment on MDT. This article was written more for ConfigMgr 2007 and some of the ways Task Sequences can be used to overcome some of the systems management and deployment challenges we would face as admins. I do appreciate your comments.